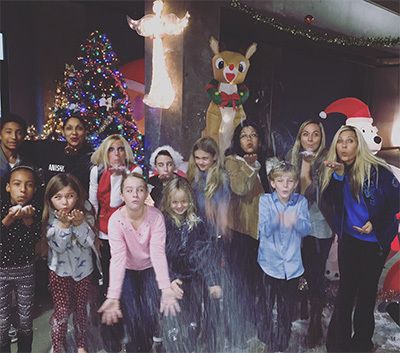 Recently I went with this amazing group of friends and family to hand out presents to those in need. I was amazed at how many people showed up, and how great the need was. For some, these are the only gifts they’ll receive. My heart hurt, but then God reminded me that HE gave us the greatest gift of all. God gave us HIS SON Jesus Christ. As I passed out gifts and hugs, some of the women just wept and melted into my arms. I assured them that God was with them and heard the cries of their hearts for their families. This Christmas and New Year, remember the greatest gifts are not always those wrapped under the tree. The greatest gifts can be a hug, a smile, a kind word or deed. So heres my hug to all of you!